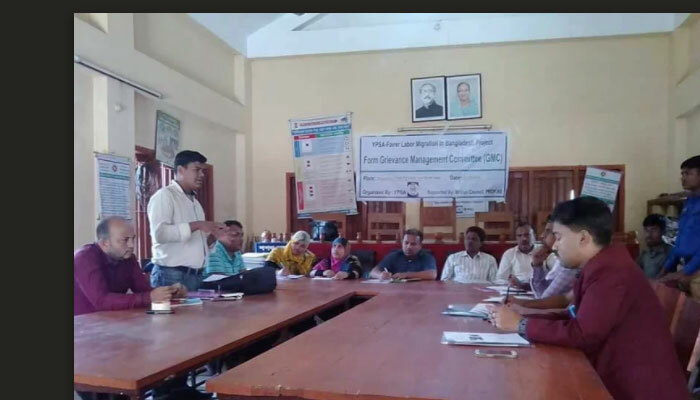 YPSA-Fairer Labor Migration Project (FLM) has been implementing at Rangunia Upazilla of Chittagong for improving the transparency and accountability of the migration process. It is now working with multiple stakeholders for increasing the fairness of the labor migration system. In Rangunia, this project intervention is being implemented nicely and reaching its target gradually. YPSA is the only IBP partners who first locally established Grievance Management Committee (GMC). Settling overseas related complain in locally is one of the main objectives of labor Migration Project. The GMC till now successfully settled 10 complains. As well as support to collect 1 million BDT from perpetrator. Project was able to convey the message of fair migration to 1.5 K people at the community. Relation between migration service provider and community people are becoming more responsive day by day. 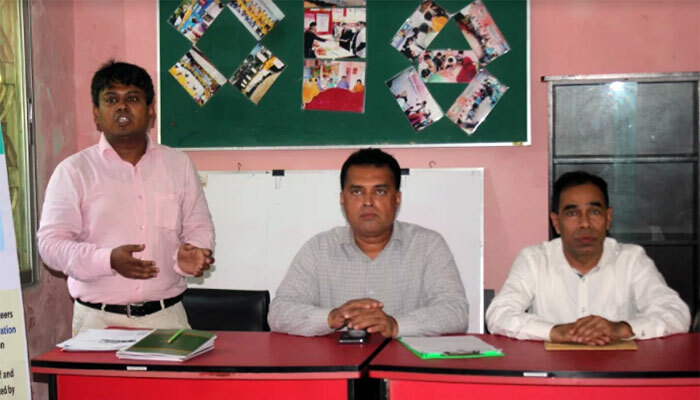 As recognizing the performance of YPSA-Labor Migration Project, PROKAS has extended the YPSA-FLM working area in Cox’s Bazar. Cox’s Bazar Sadar Upazzilla is one of the most important Upazilla in Bangladesh. Cox’s Bazar Sadar has 10 Unions. The longest sea beach of the world is located at Cox’s Bazar. Most of the areas of the upazila are covered with hills. The main sources of income are agriculture, commerce and remittance. In regards of safe migration, this area plays a vital role as well as a concern issue on irregular migration. 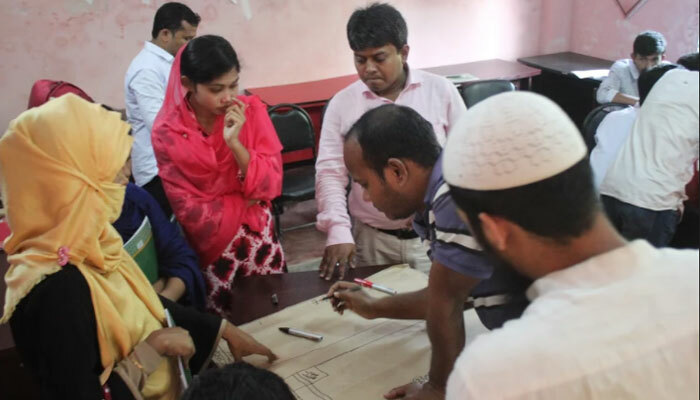 In that context, YPSA has started Fairer Labor Migration Project at Cox’s Bazar Sadar Upazilla. As a part of rapport building with relative stakeholders and community people project has organized several community consultation meetings with local administration and community gatekeepers. As well formed Grievance Management Committee and Youth Volunteer Groups on respective unions. 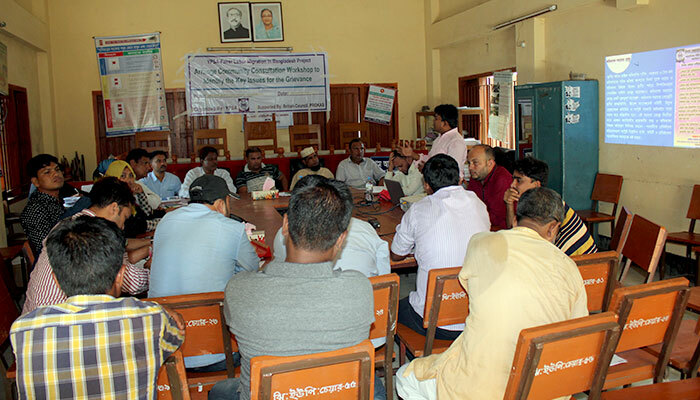 On 18-19 November’ 2017 Project has organized two different Community Consultation Workshops in Eidghaon Union and Jhilonga Union, Cox’s Bazar Sadar respectively. The UP members, Community Leader, CSO representative, Journalist, Businessman, Teacher and Youth Leaders were present of that workshops. In the workshop project, personnel shared the project goals, objectives, implementation strategy and expected outcome of the project. In workshop, project personnel shared that a migration support center will be established at Union Parisahd and will develop a Grievance Management Committee as well as develop a Youth Volunteer Group in a union. Finally, project personnel seeking out the suggestion from workshop participants on the guidance policy of said support center as well what will the duty and responsibility of GMC and Youth Volunteer. In addition to o 20, 21 and 23 November’ 2017, project has formed a Grievance Management Committee, a Youth Volunteer Group in Eidgaon Union and Jhilonga Union respectively. Before the GMC and Youth Volunteer Group formation project has done a series action at locality. Finally project has taken the consent form respective Chairman of that union as well taken the personal consent of these group members in individually. It is mentionable that GMC is a group of senior citizen (10-12 members) of that community whose will assist on settling the overseas related complain through social mediation. Alike, Youth Volunteer Group is consists of 18-20 youths of that community whose have passion on working volunteerism for assuring safe migration of that community.